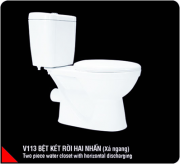 Hao Canh Sanitary Wares Co., Ltd was established in 2001 in Tien Hai industrial park, Thai Binh province, Vietnam. The business registration certificate No 1000265248 was issued by department of investment and planning, Thai Binh province on March, 08, 2001.
Business lines: Producing and trading in sanitary wares , fine arts ceramics , showers and accessories for sanitary ware products; producing ceramics tiles; trading in materials, chemicals for ceramic enamel and transportation. With 15 year experience in manufacturing and trading high class sanitary wares; big production scale, modern machines, highly skilled workforce, products branded HC(Hao Canh) are trustfully selected by many partners and present in big construction projects in Vietnam and foreign countries. For many production years, our products have always been renovated with moderner design and better quality so as to satisfy every demand of customers . HC branded products are trustfully selected and highly appreciated by domestic and foreign customers. Hao Canh Sanitary Wares Co., Ltd succeeds in establishing and running the quality management system, ISO 9001- 2008 Standard certified by Directorate For Standard Metrology & Quality, Vietnam Certification Center QUACERT. In addition, our products are also certified to conform to TCVN 6073:2005 standard and selected as qualified supplier, 2012. 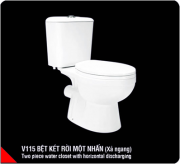 Moreover, Hao Canh Sanitary Wares Com.,Ltd has a great number of experienced tecnhicians and highly skilled workers, always trying our utmost to meet demand of customers and partners. In addition, we own available material, modern equipments for producing and trading ceremic products in the domestic market and foreign market. 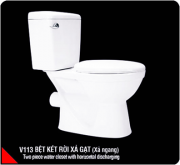 Customers' belief is always considered as a key factor for the maintainance and development of Hao Canh Sanitary Wares Com.,Ltd . 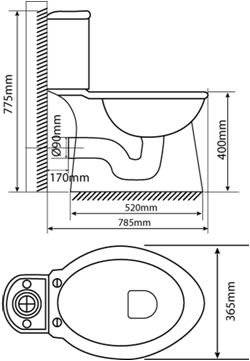 At the present, Hao Canh Sanitary Wares Co., Ltd is running 5 factories with total square of 100,000 m2, including: 1 factory for producing fine arts ceramics and 4 factory for producing advanced sanitary wares. All of factories are equipped with modern production lines , archiving averaged performance of 1,500,000 sanitary wares and 19.800.000 fine arts ceramic products / year. With the motto “Perfection in progress”, Hao Canh Sanitary Wares Co., Ltd continuously tries our best to perfect ourselves, not only in professional jobs but also in personality, behaviour of each staff so that we step by step improve service quality for customers. Hao Canh Sanitary Wares Co., Ltd works with the motto : customers’ benefits are placed at the top; employees’ benefits are focused ; the company contributes effectively towards development of the community. 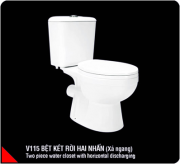 - For customers: Hao Canh Sanitary Wares Com.,Ltd commits to meet customers’ benefits at maximum on the basis of supplying best products and services, various utinity at competitive prices. - For employees: Hao Canh Sanitary Wares Co., Ltd pays attention to both material life and spiritual life of employees, ensuring income high and sustainable, offering many career opportunities. In addition, there are various opportunities for them to improve professional skills and develop political and cultural rights as well. - For the community: Hao Canh Sanitary Wares Co., Ltd commits to well implement financial obligations to the state budget; always paying attention to social activities and charity to share difficulties with the community.